In addition to the arches that may possibly come to downtown Auburn to help “define the entrance to Toomer’s Corner”, the City of Auburn’s Downtown Master Plan includes several elements intended to open up the area and make it more attractive and conducive to pedestrian traffic (including the kind that comes after football victories). 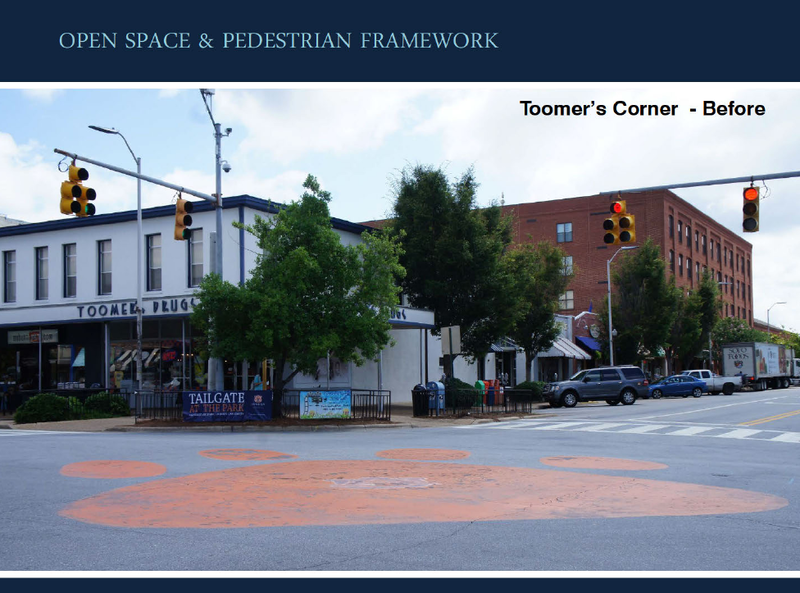 Here are the concept drawings, which Justin Steinmann, Principle Planner for the City of Auburn, will be revised “a bit to lose less on-street parking,” for the design for downtown that will be presented and proposed to the city at a public meeting Tuesday night. 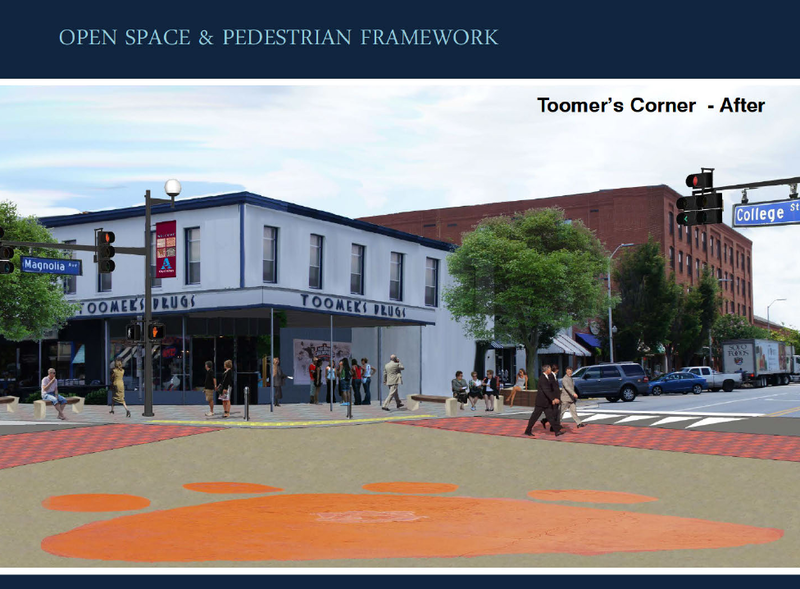 Related: Arches that ‘define the entrance into Toomer’s Corner’ possible for downtown Auburn. I hope whoever drew that sketch isn’t in charge of repainting the tiger paw. Can somebody help me with the term “raised intersection”? What is this? 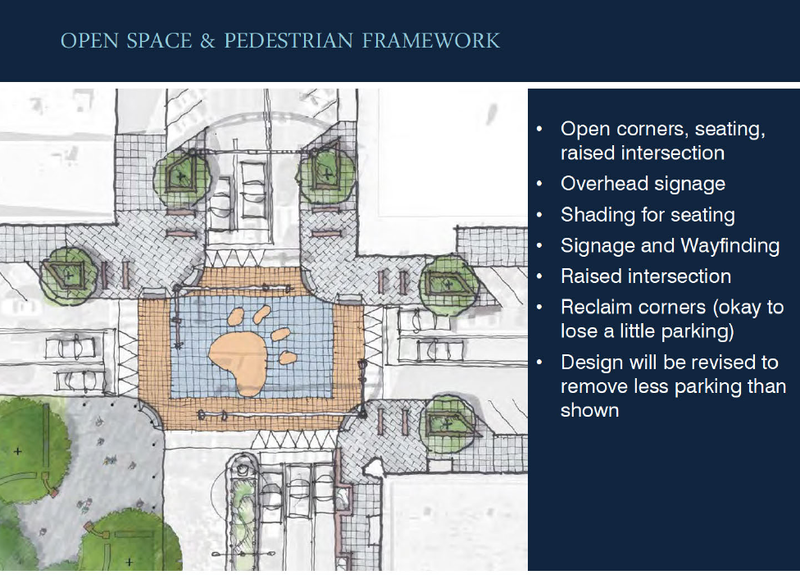 I believe as in the illustration, a raised intersection is at the same level as the sidewalk. a ramp up and a ramp down from the “platform”, like a giant speed bump/table. I think a raised intersection is an intersection w/ its hands up like the ceiling can’t hold it.